In honor of today’s “Snow Day!” statuses crowding my timeline, this seemed like the perfect opportunity to write a post dedicated to snow day gear. A few days ago I posted “Warm Rugged and Manly (Winter) Accessories” to lead men in the direction of stylish and sophisticated winter weather accessories like cashmere scarves and hand-stitched leather gloves. 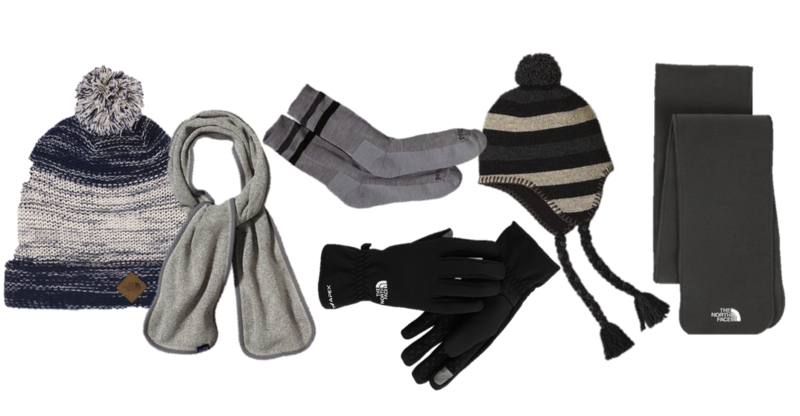 These items paired with a great wool peacoat or trench are perfect for a walk through the city to work or spending a couple hours at a sporting event, but they aren’t exactly suited for rolling around in the snow with a girlfriend, sledding down a hill on a plastic saucer, or channeling your inner kid with a snow ball fight. If you’re like me, and don’t really want to wear a 3-in-1 jacket like the ones above and would rather pick and choose the layers as you desire, then I recommend a slim-cut quarter zip fleece as a base layer (over a cotton shirt or if you’re feeling fancy an Under Armour cold gear top) topped with a full zip waterproof soft shell in mild conditions, or a heavier insulated shell for more moderate winter weather conditions. Stay warm, and stay stylish, my friends.